A cell is the basic unit of structure and function for all life, and although there are many different forms of specialized cells (such as neurons, epithelial cells, muscle cells, etc. 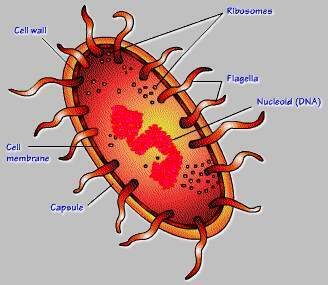 ), at the most basic level cell biology there are only two true cell types — prokaryotes and eukaryotes. Genetic Material The genetic material (DNA) is not being enclosed by a particular membrane to form a nucleus but it lies freely in the cytoplasm part. Cell lacks all membrane bound organelles. The cell has a membrane bound nucleus. 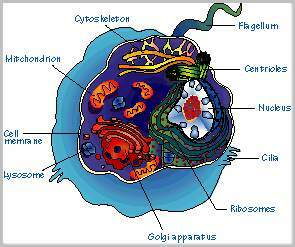 It has a number of membrane bound organelles. Organelles The organelles is not surrounded by an envelope. The organelles i.e nucleus, mitrochondria, chloroplasts are bound by envelope. Although there are many differences between these two cell types, there are also similarities. Please note that the following list does not contain every conceivable similarity, but rather focuses on the main features that prokaryotic from eukaryotic cells share. 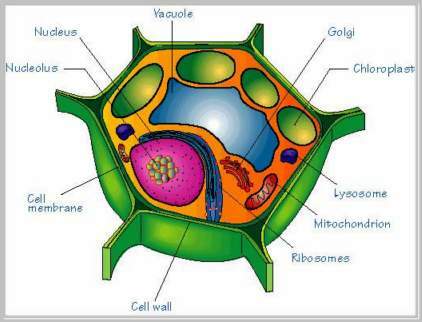 * Cell walls – Most prokaryotes and some eukaryotes (plants and fungi) have a cell wall; a strong structure surrounding the cell and preventing it from bursting in a hypotonic environment. However, the cell walls of prokaryotes and eukaryotes, although similar in function, are made of different types of materials. * Cytoplasm – Both prokaryotes and eukaryotes have a fluid-like matrix that fills the cell. * Cytoskeleton – Both prokaryotes and eukaryotes have a supportive cytoskeleton within the cell, although this feature was only recently discovered to occur within prokaryotes. * Extensions of the Plasma Membrane – Both prokaryotic and eukaryotic cells can have thin extensions of the plasma membrane supported by elements of the cytoskeleton, including flagella and cilia in eukaryotes and flagella, endoflagella, fimbriae and pili in prokaryotes. These extensions can function in motility (cell movement), to move materials around the outside of the cell, or to help the cell adhere to surfaces. The mechanics of how these extensions move differs between eukaryotes and prokaryotes. * Glycocalyces – There are some prokaryotes and eukaryotes that possess a glycocalyx. These sticky sugar-based structures anchor cells to each other, help cells stick to surfaces, and provide some protection. The glycocalyces of prokaryotes and eukaryotes are made of different materials. Eukaryotes that have cell walls do not have glycocalyces an, in prokaryotes, glycocalyces can be an important factor in ability of an pathogenic (bad guy) bacteria to cause disease. * Plasma membranes – Both prokaryotes and eukaryotes have this lipid bilayer surrounding that represents the boundary between the inside and outside of the cell. Read also: What is the function of ribosomes? Bauman, R. (2007). Microbiology with Diseases by Taxonomy. Pearson Benjamin Cummings. Bauman, R. (2004). Microbiology. Pearson Benjamin Cummings. Campbell, N. and Reece J. (2002). Biology, Sixth Edition. Benjamin Cummings.